This Aquatic Plants Jigsaw Puzzle very simple yet hard Picture Puzzle. In the given puzzle picture, one piece of Jigsaw shape is taken out. You are presented with the two choices. You have to observe two given Jigsaw Pieces carefully to find the missing Jigsaw Piece. Lets see if you can solve this Jigsaw Puzzle correctly? 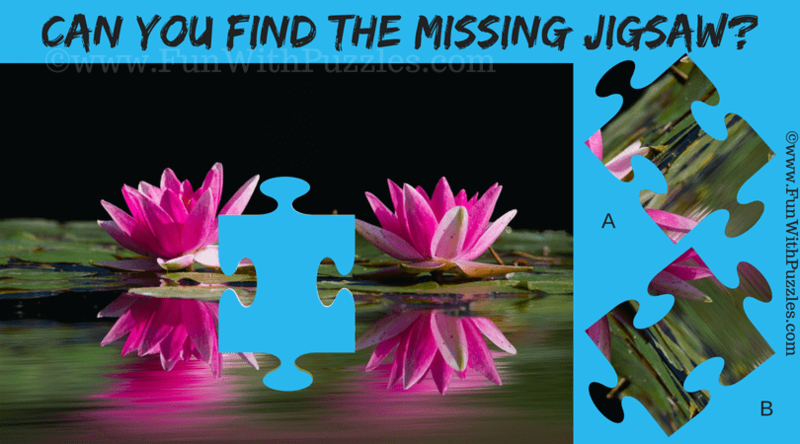 Answer of this "Aquatic Plants Jigsaw Puzzle", can be viewed by clicking on button. Please do give your best try before looking at the answer.